Jesus teaches that we exist to love and acknowledge God, and to love and acknowledge the other human beings around us. Selfishness can't play any part in our lives, if we have accepted a call to serve Jesus as our God-appointed Master. Recognizing the needs of others around us, and acting to serve those needs, is what Jesus calls us to do. We are not relieved of our obligation to serve by saying that other teachers after Jesus taught we are born unable to do Good Works, that we are not required to serve others, or even that a government will do the work for us. Simply ignoring or abdicating to others our duty to ACT to love and serve our neighbors doesn't get us off the hook with God. 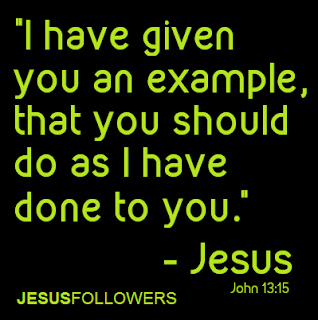 Jesus' words, he said, were not spoken on his own authority, but on God's (John 14:10) and Jesus said his actions always pleased God (John 8:29) making him our perfect example in all things. 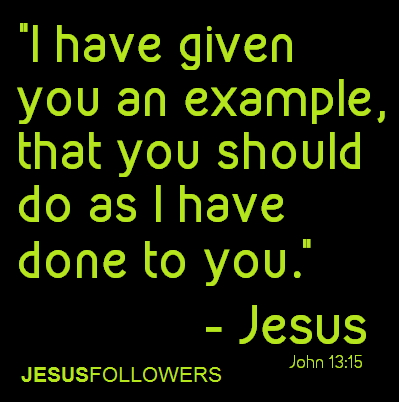 While Jesus does say that we are not to brag about our Works of service simply for the sake of bragging (Matt. 6:1) we are nonetheless called by him to perform those Good Works on behalf of others who are suffering and in need, in order to emulate the example of Jesus, for all the world to see. Let us pray to God our Father to renew and perfect the spiritual strength He granted us at birth, further equipping us to serve Him more perfectly by serving others. Did God "send" Hurricane's Harvey and Irma? Does God "send" school shootings to "test us" or tornadoes and volcanoes to "call people home" or as punishment for our sins? No. This is a modern (or rather, childish and Ancient) misconception, resulting in a gross misreading of Scripture. God "shows no partiality and accepts no bribes." (Deut. 10:17) and we know that God is not in the storms, the winds, or the earthquakes (1 Kings 19:11-13.) Jesus tells us that God makes the sun, "rise on the evil and on the good, and sends rain on the just and on the unjust." (Matt. 5:45.) Our God, therefore, is not a mere angry "storm deity." 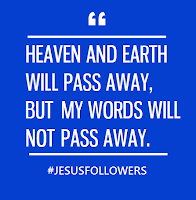 So, these words of Jesus tell us all we need to know about the cause of Natural disasters, birth defects, and all of the things with which we struggle in our lives. God is not in the disaster, but He is in the recovery. In English, the word "weather" can be both a noun and a verb. The weather is an active, impersonal Natural force that acts upon us. But we are also said to be able to "weather" a storm or a tragedy. We weather these storms by drawing upon the strength God has implanted within us at birth, but also be calling upon God to strengthen our resolve and endurance in times of trouble. It is for this latter reason that James writes that we should consider it "all joy" when turmoil comes at us, because this adversity teaches us to become steadfast, and that leads us to become more perfect and complete (James 1:2-4.) Through the storms - whether they are Natural or the kind we encounter in our daily lives - we should rely upon God for wisdom and strength. 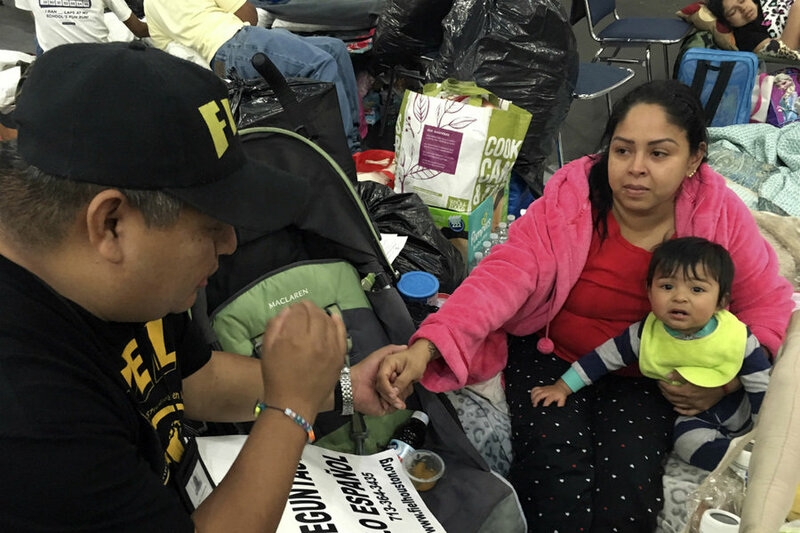 Jesus makes it clear that we are to be the agents of God on earth - bringing in the Kingdom of Heaven with our Good Works: Feeding the hungry, clothing the naked, giving shelter, comforting the prisoner, and responding to those who are in distress. The face of God is the expression of love and comfort the rescue worker gives to those in need following a Natural disaster, and in the food, clothing and shelter we provide, not in the wind, rain and tumult of the storm. Let us give thanks that we know a God Who is not The Storm, but is the Comforter after the storm! 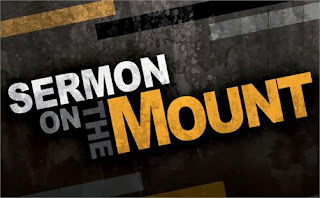 The Sermon on the Mount is practical and simple, uninvolved in any abstruse, remote, or novel conceptions. It expresses no ideas that amaze and stupefy, or call for careful consideration on account of their novelty. It is a solemn, searching declaration of the universal religion of humanity: God is holy, wise, good; blessed are you if you are pure, meek, hungering for righteousness, and living from the heart pure, useful, holy lives. This is all the doctrine there is in it; not a word about the nature of the Godhead, the fall of man, the need of the atonement, the deity of Christ, the necessity of baptism and the saving sacrament of the communion. And, indeed, the four Gospels are all simplicity itself, so far as they give us Christ's own words. Jesus spoke the language and the truth and the religion of a simple, artless, deep-centered representative of universal humanity — true always, everywhere, and for all. There is nothing to add, nothing to abate, nothing to excuse or to explain away in his teachings. Because they give voice to what humanity knows to be deep and holy, they hold the allegiance of those in the twenty-first, as they will those of the thirty-first century. We cannot conceive of anything about our faith that is not already in the teachings, spirit, and example of Jesus. Jesus has taught and illustrated our faith in ways a child can understand. But it is so plain that it looks severe; so simple that it looks cold and hard, like a marble statue. Its simplicity leaves us no loopholes of escape from its commandments. It cannot be, says the weaver of subtleties, that Jesus really expected us to be what he was and make his character our example. It cannot be that he really expected us to love God with all our heart and our neighbor as ourselves! This is very simple, but it is so exacting and so hard! It is easier to believe a much more complex and inexplicable creed than to practice this very simple one. And so, not because it was unintelligible, but because it was too intelligible — not because it was uncertain, but because it was too plain — the subtlety of the Church and of the Christian world has upholstered and stuffed and cushioned and draped the simplicity of religion, until it has been made as great a mystery as an Egyptian mummy in its endless wrappings. How much easier it is for the soul, reluctant for duty and self-sacrifice, to spend its time in high speculation about the nature of the Godhead than in plain obedience to an imperative voice of God enjoining us to shun evil and do right! How much lighter work it is to bow when Jesus' name occurs in the creed, and to give him all the honors and worship of a God, than to keep his moral teachings and put on his meek and loving attitude! The simplicity of Jesus as it reveals itself in the Sermon on the Mount is often compared disparagingly with the voluminous faith of the Nicene Creed. Call that simplicity the Christian religion, which really adds nothing to the old Jewish and the older natural religion of love to God and love to man, except the example and spirit of Jesus! What, then, becomes of the Fall, and the Curse, and the Atonement, and the Sacraments, and the Trinity, and the Deity of Christ, and all the rest of the dogmatic paraphernalia of religion? They become invisible, like candles in the presence of the sun; they fall, like tents rich with hangings when the sky clears and spreads its own tabernacle around us. It is the keeping of these great commandments that discloses their richness and fullness. They are simple and few. But live by them, and you will find that all the bodies of divinity in the world could not contain their lessons, or describe the glorious richness of their contents. If we are to have substitutes for holy living, nothing can be more effectual than hard metaphysical dogmas, or disputes about modes of worship. To promote and exact real morality and true piety we can conceive nothing so well fitted as the simplicity of Jesus – the plain, unequivocal, uninvolved requirement of love to God, tested by love to men and active usefulness in life. Do not allow yourselves to fall under the dominion of these sounding subtleties, these dark dogmas, these involved metaphysical puzzles that pass for religion and Christianity. They will unsettle your common sense, and befog your conscience. It is not the unknown we can profit by, but the known. It is not the obscure, but the plain, that should have our attention. It takes no learning, no scholarship, no formal logic, no fine-spun reasoning, to know God so far as we need to know Him, as a moral governor and Father of spirits; to know Jesus as a holy, gentle, and wise Master and guide of character; to know our duty well enough to live chastely, truthfully, honestly, with mercy and sympathy. And this is all we need to know to fulfill all the obligations and to reach all the blessings of religion. The common sense view of religion, as of life, is the true view. Eccentric or exceptional views are usually erroneous. Trust your capacity to know God and to understand Jesus by directing a plain common-sense intelligence towards them. You have no more faith than you practice, no more religion than you live out, and no Savior unless he is found in you. This is simple, plain truth. Allow no spirit of subtlety to hide or deform it. If we read the words of Jesus, the answers to these and other questions are clear. But if we listen to today's church, the answers are unclear. The teachings of Jesus are clear, consistent and powerful. 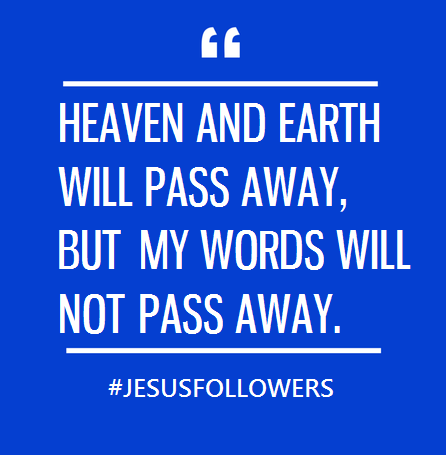 Jesus said his words would last forever - would not pass away. And his teachings about how we should act in this world were clear. If we understand that, we would naturally put Jesus clear, plain teachings at the center of our Faith, and they would obviously be placed at the core of any teachings about that Faith. And yet, modern Christianity has been bogged down with man-made words and man-made doctrines that muddle Jesus' teachings and message, and often obscure it entirely, making them of no effect and importance. Today’s Churchmen and theologians speak words Jesus never uttered: "Justification," "Sanctification," "Total Depravity," “Original Sin,” "works-salvation." But these words give birth to doctrines that make Jesus' religion a toxic one. Jesus never said that children are born "unable not to sin." Instead, Jesus tells the disciples to allow children to come to him, since they represent the purity of God's Kingdom. Jesus never even hinted that human beings couldn't perform Good Works from birth. Instead, he says we MUST seek to do Good Works - deeds of the heart that serve our neighbors and show them God’s love. Jesus said we are to begin acting NOW to build up God's Kingdom, "on earth as it is in Heaven." We aren't to wait for any special signs from God, or to wait at all. Jesus says we become holy only by DOING what is holy, good and righteous. Holiness and Righteousness are ACTS we do, not a mere THING we can get by simply claiming Jesus' holiness as our own. Jesus calls us to turn the other cheek, to not seek our own advantage, to follow the narrow and difficult path of his religion, and that those who seek to be first will be last. Modern preachers, however, often say we must only seek to get our SELVES into Heaven, and that it can be done easily, without effort. Our goal isn't to simply to "save" ourselves, says Jesus. Those who seek to save themselves, in fact lose themselves. But if we deny ourselves, and lose ourselves in serving others, we gain victory, eternally and in this life. Far from condemning Good Works, Jesus calls us to do them, without pride, because Godliness is our natural state. Jesus assures us that we will be judged by God according to our Works - the deeds of our hands - and even then, we'll be judged by a merciful and holy God. Our Works will light the world, says Jesus, and they will reflect our spiritual journey towards Righteousness as we repent continually for falling short of the Ideal Jesus sets for us. That is a path Jesus calls us to seek and follow, in his footsteps. And it's a path that is easily understood even by a child. By twisting and adding to Jesus' simple words and teachings, modern theologians and ministers make Jesus confusing and strange. He becomes someone who cannot be understood without the help of a Priestly class. Jesus tells us that neither God nor his teachings were ever meant to be seen "through a glass, darkly." Jesus is a window we can look through to see how God wishes us to live. Jesus calls us to take up our cross and follow him, to do JUST AS he did, and even greater things than he did. This isn't the call of someone who condemns Good Works, who says "wait for God to act, don't act yourselves," or someone who wishes us to simply admire his righteousness and not emulate it. We are clearly and decisively called by Jesus to go and work Righteousness in this world, doing all we can to be an example of the light of God that was born within us, kindled by the example of Jesus, our teacher. When we begin to see Jesus as an example we can follow, he becomes a Master we can also love as a brother. So, let us go out and work Righteousness in this world, doing all we can to be an example of the light of God that was born within us, kindled by the example of Jesus, our teacher.